This contemporary retail space in the bustling area of Hauts-de-Seine in the Parisian Suburb is perfect for brands looking to host a PopUp Store or Private Sale or a Product Launch. This charming shop has a creative feel with extensive windows which allow plenty of natural light into the space, creating bright ambience. This retail space is modern with contemporary interiors of white walls and concrete floors. This boutique is well-equipped for ready-to-wear retail with fitting rooms, a stock room and garment racks. 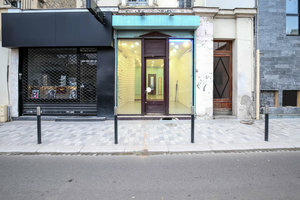 Located in one the pretty suburbs of Paris in Asnières and surrounded by fashion retailers, this space is great for artists and designers to gain exposure in a creative setting.